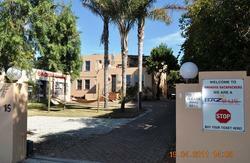 Nothando Backpackers Lodge is a five star graded hostel. Our hostel makes a refreshing change to most hostels. It's upmarket with spacious dorms that have sink-in-and-get-lost fluffy duvets and luxurious en-suite doubles. The hostel is split over two neighbouring houses, both of which have lovely gardens and a real easy-going energy. 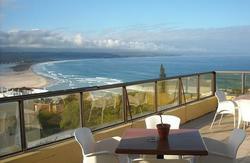 Nothando is centrally located and close to everything including pubs, restaurants, night clubs, shops and Plettenberg Bay's famous beaches. We serve excellent meals and our breakfasts lunch packs and dinners are all good value for money. We also have safe off-street parking. After a hard day enjoying the pleasures of Plettenberg Bay come to our Far Side bar for a relaxing sundowner or a game of pool. Meals available, TV lounge, Self-catering kitchen, Parking, BBQ, Laundry, Internet facility, Cycle rental, Pool table, Satellite TV / phones, Surfboard rental, Canoe/kayak rental, Bar, Horse-riding, Car rental. We ensure backpackers of an enjoyable and beautiful stay in one of the most pristine locations in Africa. From the N2 main road take the entrance into Plettenberg Bay at the Shell Ultra Fuel Station. This will be Marine Drive. Take fourth turning to the left at Wilder Street. We are at 5 Wilder Street.